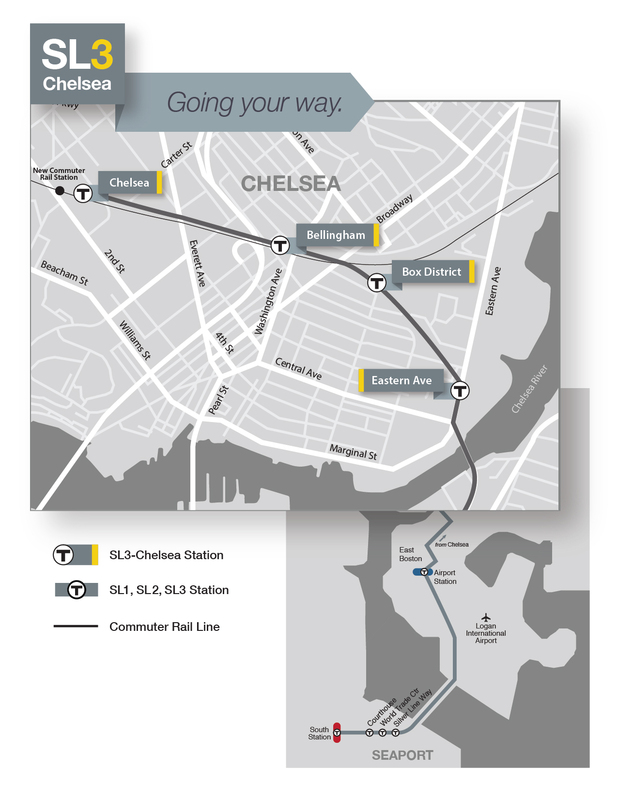 Learn about Silver Line 3, the new dedicated bus rapid transit (BRT) service, launching April 21, 2018 and serving Chelsea and East Boston with direct service to South Station and the Seaport District. MBTA officials will present an overview of this new service and discuss schedules, routes, and stops. This meeting will provide Spanish language interpreters. All locations are accessible to people with disabilities. MassDOT provides reasonable accommodations and/or language assis- tance free of charge upon request (including but not limited to interpreters in American Sign Language and languages other than English, open or closed captioning for videos, assistive listening devices and alternate material formats, such as audio tapes, Braille and large print), as available. For accommodation or language assistance, please contact Katy Zazzera by phone at 857-368-8986 or by email at kathryn.zazzera@dot.state.ma.us. Requests should be made as soon as possible prior to the meeting, and for more difficult to arrange services (including sign-language, CART or language translation or interpretation), requests should be made at least 10 business days before the meeting. In case of inclement weather, meeting cancellation announcements will be posted on the MBTA website.